In case of late registration for Profession Tax penalty will be restricted to 3 years instead of earlier 8 years. Exemption to armed personnel of CRPF & BSF. No late filing fee for Government aided educational institutions. For period upto 31.03.05 (i.e. 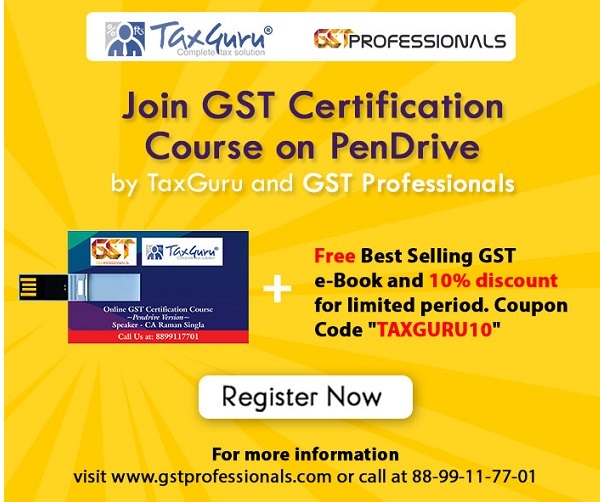 BST Period) pay full tax amount and get waiver of penalty and interest . For period from 01.04.05 to 31.03.12 pay full tax amount and 25% of interest and get waiver of remaining interest and full penalty. In both the above situation appeals filed should be withdrawn. Exemption from Levy of Sugarcane Purchase Tax for the year 2015-16 to the Sugar Factories which export sugar as per Government policy. Turnover limit increased from 50 lakhs to 1 crore under retailer composition scheme. For Bakery the turnover of tax free goods is excluded from computing turnover for compostion. Hotels & Restaurants under composition scheme having turnover of more than 3 crores will be taxed at 8%. Mamography machine (For breast cancer detection) exempted from VAT. Sterile water for injection will be charged @ 5.5% instead of 12.5%. VAT exemption for Retrofit kit fitted to vehicles for handicaps. Bamboo products excluding furniture to be tax free. Coconut oil sold in packs upto 500 ml will be charged to VAT @ 12.5% instead of 5%. Marble and granite will be subject to entry tax. Road Tax on Motor Vehicle enhanced on two wheelers and three wheelers owned by individual. Tax to be based on engine capacity – upto 99cc – 8%, 100cc to 299cc – 9%, 300cc and above – 10%. Institutional and Imported Vehicles to be subjected to double the rate of tax. Cotton seed to be taxed @ 2% instead of existing 5%. This will reduce the litigations of refund for manufacturers of cotton seed oil and cake. Defect memo to be issued in case of defect in application for e-registration under VAT, CST, PT. Views expressed are of the Author. Please wait for final notifications and circulars before acting on same. 1. Cotton seed will be taxed at 2% instead of current rate of 5%. This will reduce the litigations of refund in case of manufacturer of cotton seed oil and cake. 2. Defect memo to be given in case of new application for registration under VAT PT CST.